We want to continue to foster this atmosphere of personal growth and creative exploration—that’s why we’re introducing our brand-new Retreats and Workshops Package! 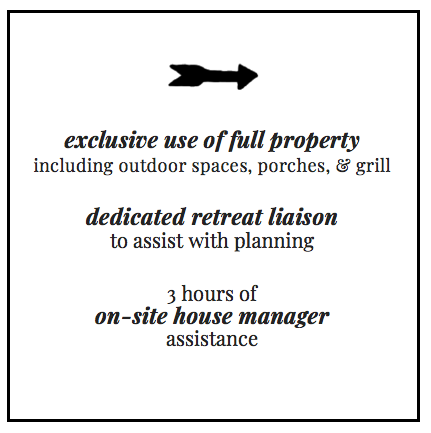 Situated on one-and-a-half peaceful acres just one mile outside the enchanting town of Round Top, TX, our multi-use property allows retreat attendees to work, learn, dine, and sleep all in one location. 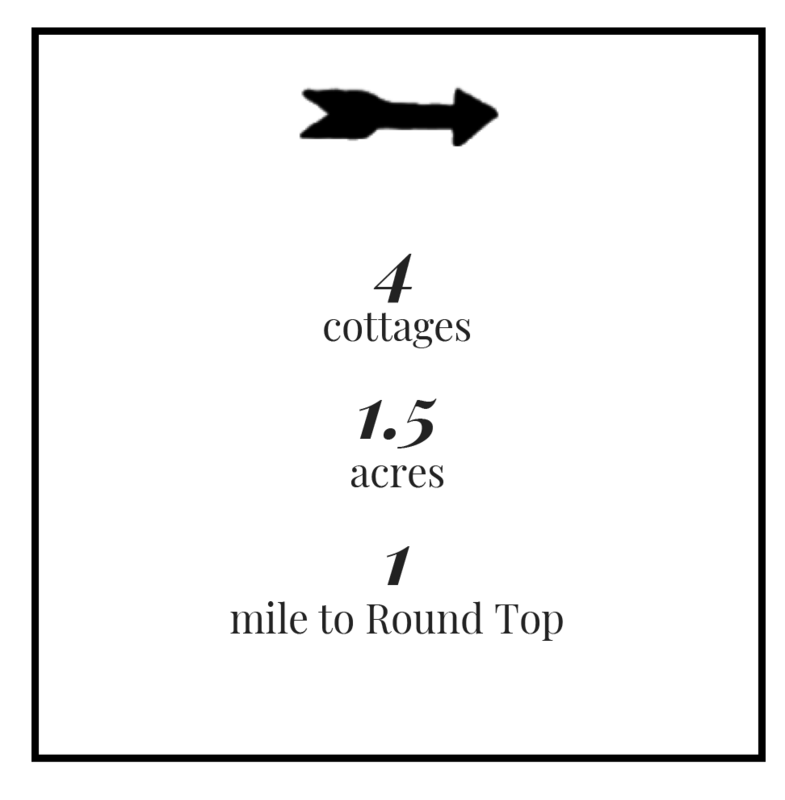 The four cottages at The Vintage Round Top can accommodate up to 21 overnight guests (max) and comfortably host up to 50 event participants. Our Boho cottage features a spacious, sun-drenched 900-square-foot great room that’s perfect for setting up seating for workshops or panel discussions. 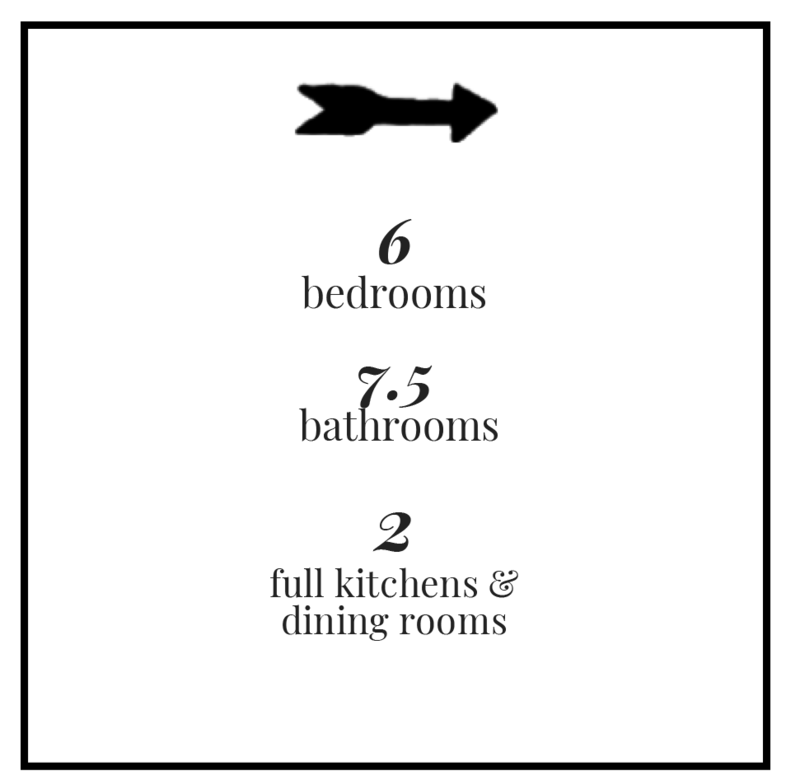 Need extra kitchen space for your cooking retreat? Boho attaches to the neighboring cottage, No. 1450, via a shared mudroom, allowing easy access between the two kitchens (and the two dining rooms!). The property also features an outdoor communal space, The Cameron Lounge. It’s a peaceful spot to ease into shavasana during a yoga retreat or to watch the sunset with a bottle of wine! Although we have many different options for communal gatherings, the cottages also include several intimate seating areas for breakout sessions. When it’s time to wind down for the evening, your attendees can retire to unique, bespoke bedrooms including comfy linens and RVT hotel amenities featuring our signature Texas Sweet Grass scent. We’re also putting the final touches on our two new freestanding 400-square-foot studio-style cottages—The Pierce and The Eisley—each of which offers a king-size and twin-XL bed, kitchenette, and full bath. Elegant Kohler fixtures and sleek kitchen and bathroom tiling from Ann Sacks add an element of luxury to these cozy cottages. If you’d like to bring your own event décor or branding materials, the chic neutral color palettes of our interiors will compliment them nicely. The entire property also offers an abundance of unique backdrops for photography sessions and social media interaction. The modern vintage aesthetic of our interiors and the home’s large windows make a great indoor studio space—or head outside and use the lush native landscaping as a backdrop to stage outdoor photos! There’s more to explore off the property, too. Steeped in nostalgia and small-town charm, Round Top is famous for hosting the biannual Round Top Antiques Fair. For a few weeks each year, this tiny town of 90 residents welcomes between 50,000 and 75,000 visitors, and lodging is in high demand. During the rest of the year, Round Top is a quiet and restorative place that is ideal for low-stress, high-focus events and workshops. For an afternoon trip into town, head a mile down the road to browse the local boutiques and antique shops, which are arranged along walkable, picturesque town squares. Check out our Guide to Round Top for shopping and dining recommendations! 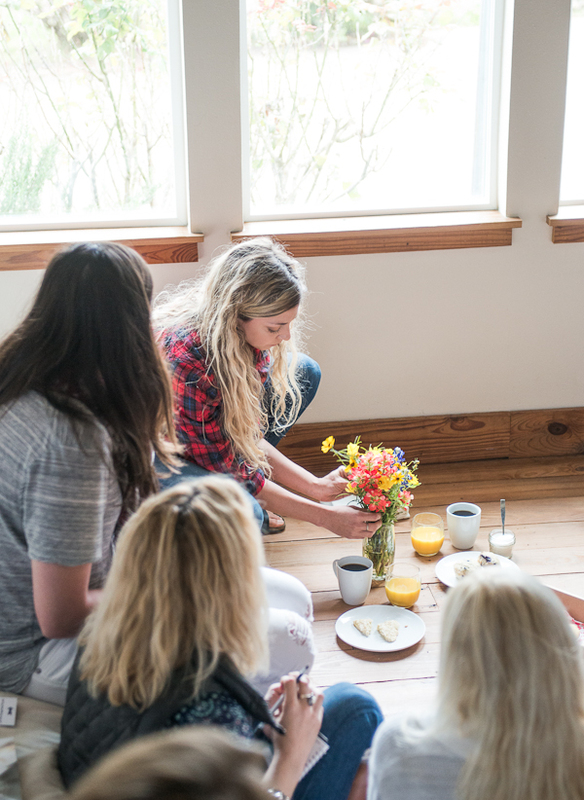 We feel deeply connected to helping our guests grow and nurture their creative energy—whether it’s learning a new skill at a workshop, practicing meditation at a wellness weekend, or strengthening your staff’s communication skills at a company retreat. So if you’re an entrepreneur, photographer, chef, designer, artist, yogi, branding expert, or a jack-of-all-trades looking for the perfect space to host your first (or hundredth!) retreat or workshop, drop us a line to tell us more about your proposed event. We can’t wait to collaborate with you!